Chances are that sometime during your years at UC Berkeley, you’re going to run into an international student who is homesick and craving a little bit of home. And while the idea of his or her comfortable bed, friends or family may strike a few chords, nothing seems to bring out how much students miss home more than food. We asked UC Berkeley international students what snacks they missed from home and figured out where they could find some alternatives in UC Berkeley. 1. Kiribath: Sam Cabral, a freshman intended economics major from Sri Lanka, says that he misses milk rice, a traditional Sri Lankan dish that is made by cooking rice with coconut milk. It is eaten in many Sri Lankan households, usually for breakfast, and because it isn’t readily available here, unless you make it yourself, it can be substituted with rice pudding. 2. Martabak: Giacomo Tognini, a freshman intended political science and political econ major from Italy, who has also lived in Indonesia, says he misses Martabak. Popular from Saudi Arabia to Malaysia, Martabak is a stuffed pancake or dish made from fried bread. UC Berkeley’s Indonesian Students Association hosted a Martabak fundraiser this past fall, and in case you missed it, you can actually order Martabak from a delivery service that caters to the Bay Area. 3. Indomie: Giacomo Tognini also misses Indomie. If you think your regular cup noodles or ramen are good, then you should try Indomie. Produced in Indonesia and distributed to consumers all around the world, these instant noodles come in traditional Indonesian variants such as Mie Goreng Ayam (chicken fried noodles) and Mie Goreng Cabe Ijo (green chili fried noodles). While stores in Berkeley don’t seem to sell Indomie, there are some Indonesian restaurants in Berkeley such as Jayakarta that make noodles that can serve as a substitute. 4. Mandazi: Yvette Ankunda, a freshman intended development studies and pre-business major from Uganda, said she misses Mandazi. Originally from countries like Uganda and Kenya, Mandazi are an East African take on donuts. Made from fried bread and sometimes with coconut milk, Mandazi are known not only for their amazing taste but also the aroma they exude when they are being made. Because there aren’t that many East African restaurants in Berkeley, one usually has to substitute Mandazi for stuffed pastries or fried bread dishes from other cuisines, such as Indian. 5. Kibbeh: Divya Suri, a freshman intended psychology major, misses Kibbeh, a Levantine dish similar to a fried croquette that is stuffed with things like beef or lamb and sometimes vegetables. They can also come in the form of patties or in broth and can be found at Middle Eastern and Mediterranean restaurants scattered through Berkeley and San Francisco, such as La Mediterranee. 6. Pastitsio: Alexatrini Tsiknia, a freshman intended political economy major and human rights minor from Greece, says she misses Pastitsio — a Greek form of baked pasta, usually consisting of beef and bechamel or white sauce, that is based on its Italian pastry counterparts. 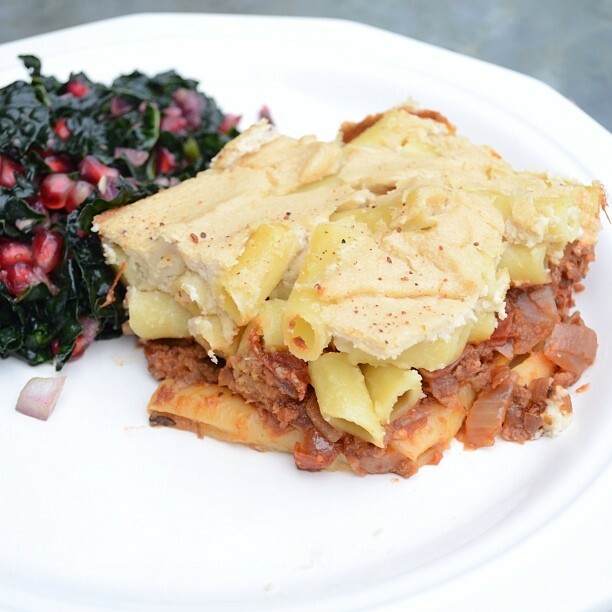 Pastitsio is both filling and tastes good and is available at restaurants like Athineon in Berkeley, although according to Tsiknia, nothing can compare the ones she gets back home. 7. 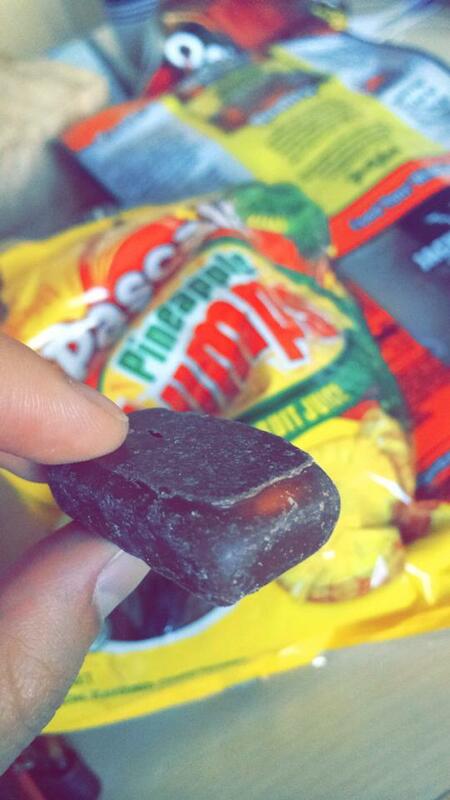 Pineapple lumps: Ashley Gaines, a senior biochemistry student from New Zealand, says these chocolate-covered chewy pineapple candies are stereotypically “Kiwi” and remind her of home. They also taste amazing frozen. She hasn’t yet found a perfect alternative in Berkeley because pineapple lumps beat any other form of dried fruit or chocolate-covered confectioneries. She tends to stock up on American candies instead. 8. Egg tart or Portuguese tart: Veronica Chio, a freshman pre-business student from Macau, misses Portuguese tart, a tart pastry originally from European states such as Portugal and the United Kingdom that has become widely popular around the world, especially in Asian countries and cities like Hong Kong and Macau. It consists of a pastry crust that is filled with egg custard and then baked. Versions of the tart are available at bakeries like Sheng Kee, but according to her, they aren’t as good in taste or authenticity. 9. Anything Haldiram’s: This food blogger, a freshman development studies and global poverty and practice minor and intended media studies major, misses Haldiram’s. If you’re Indian, then you will understand the craze about Haldiram’s products. A sweets and snacks store that can be found all around India, Haldiram’s is one of the greatest places to go for a quick bite or to pick up some snacks, such as packaged Moong Dal, which puts potato chips to shame; Aloo Bhujia, or potato noodles; and Khatta Meetha, composed of gram flour noodles, peas and boondi. Luckily, those craving these snacks won’t have to go without for longer. 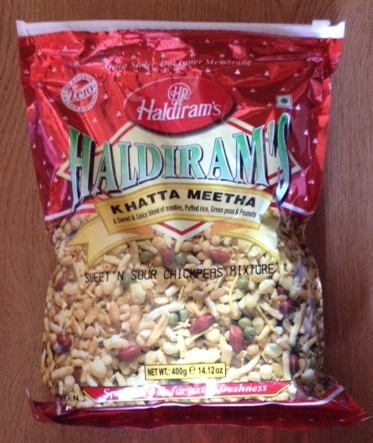 Vik’s Chaat & Market on Fourth Street sells most of Haldiram’s packaged products. 10. Nopal: Carlos Ramos, a freshman intended economics major and computer science minor, misses nopal. Also known as a prickly pear cactus, it is an ingredient that is used in Mexican jams, stews, salads and other dishes. It can be eaten cooked in a dish or raw.